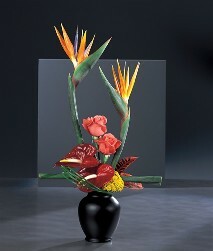 Your Funeral / Sympathy Flower / Florist Specialist in Warrenton, Missouri, Wentzville, Missouri & the Entire St. Louis, Mo. Area. At A Moment Of Grace Florist & Gifts, we understand your sorrow over the loss of your loved one, and we work hard to make the funeral easier on you and your family. We offer a special private consultation area in a relaxed atmosphere for the discussion of arrangements. A Moment of Grace Florist works hand-in-hand with local funeral directors, to assure that your family will not have to worry before, during, or after the funeral services. To assist you in your time of loss, our compassionate staff creates elegant, beautiful floral arrangements to help you celebrate the life of your loved one and say good-bye to a dear friend. Not only does A Moment of Grace Florist offer traditional sympathy floral designs, but we also have special tributes to honor the life and hobbies of the deceased, as well as crosses, Bibles, and hymn books. 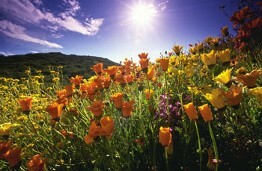 Flowers are a way of celebrating the life of the deceased. Sympathy designs help communicate what people want to say but often can't express in words. We at A Moment of Grace Florist & Gifts know you are not just ordering flowers. Families in sorrow know that the loved one they have lost was not just a military veteran, a gardener or a teacher. Each of us has many interests, hobbies, and facets to our lives. Our caring staff works with you to design a personel arrangement for your loved one or friend that tells the wonderful story of the life they have lived. They sit down with the family and take time to find out what the person was all about. What things did they like, or not like. What were their interest? So that when our designers design the tribute pieces, they can add a personal touch, they can even add a personal message printed on the ribbon of the tribute, and not just the standard arrangement. Personalizing a tribute creates a feeling of the life well lived. A tribute makes the funeral service a more peaceful, comforting time… for both the sender and the recipient’s family and loved ones. Death is difficult for everyone. Even if you have experienced a loss yourself it is still difficult to console someone close to you who has suffered a loss. Below are some tips and suggestions on how you can help the bereaved. Sometimes it is best not to offer or ask but just assume the tasks to help the grieving individual. Offer to notify the survivor's family and friends about the funeral arrangements. Keep a record of everyone who calls, visits or has been contacted. Help coordinate the food and drink supply for family and visitors. Offer to pick up friends and family at the airport. Arrange housing or referrals to appropriate, nearby hotels. Offer to provide transportation to out-of-town visitors. Help keep the house clean. House-sit to prevent burglaries during funeral and visitation. Prepare or provide dinner for the family. Offer to help with yard chores such as cutting the grass and watering. Feed and exercise the pets. Write notes or send cards offering encouragement and support. Offer to drive or accompany them to the cemetary. Offer to house sit, so the survivor can take a restful vacation, or visit family or friends. Make a run to the grocery store. Help with Thank You notes. Anticipate difficult periods such as birthdays, anniversaries, holidays and the day of the loss. Corner of Public & Walnut St. Your Funeral / Sympathy Specialist in Warrenton, Missouri, Wentzville, Missouri & the Entire (Saint) St. Louis, Mo. Area. Also Serving Saint Louis, Saint Louis County, St. Charles, Troy, Foristell, Marthasville, Wright City, Truesdale, Hawk Point, Jonesburg, Innsbrook, Lake Sherwood, Montgomery City, Truxton, Flint Hill, New Florence, High Hill, Moscow Mills, Old Monroe, New Melle, Lake St. Louis, Wentzville, O'Fallon, St. Paul, Josephville, St. Peters, Defiance, Cottleville, Weldon Springs, Dardenne Prairie, Washington, Chesterfield, Maryland Heights, Bridgeton, Hazelwood, Town & Country, Wildwood, Saint Louis and more.